I make a little propagation chamber that is so easy, and so reliable for me that I thought I would share the idea. I have not seen one like it here, and I did look through the FAQ, but didn't find one there either. I hope I did not miss it, and I hope I do not offend anyone by being presumptive in posting this here. A plastic shoebox, with a lid. They come in various sizes, any will do. Soil less potting mix, half peat, half perlite, or whatever is your favorite medium. A little clay pot, with the drain hole plugged with caulking or silicone. If this is a new pot, scrub it with some steel wool to be sure it doesn't have a sealer on it. You want the water to seep through it. Rooting hormone powder or liquid, or salix solution from the willow tree. Plant material, snippers. I am going to pot some Plectranthus (a tall swedish ivy) and a Joseph's Coat, 'Red Thread'. 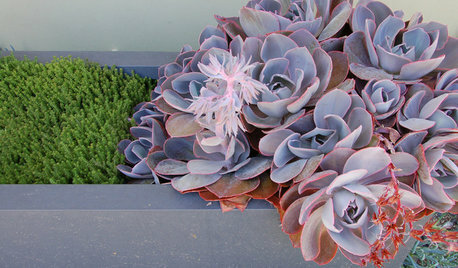 I already have some succulents rooted in this box. I will take them out and pot them up later, DH has a new cacti pot he wants to put them in. You can see here, I hope, that I fill the clay pot to the top with rain water, well water, or distilled water. I just don't use our tap water, too much chlorine and a ph that is out of sight. I pour a little of the hormone powder out on a paper plate or a piece of paper, so that I don't contaminate the whole package of powder. And these little 'snippers' are the best for taking this kind of cuttings. This is about right on the amount of hormone to use. I try to get 2 nodes per cutting, if I can. Knock off the excess. It is better to have a little too little than to have too much. Then, with your finger, or a pencil, or stick, SOMETHING, poke a hole in the potting mix and insert your cutting. Pull the potting mix up around the cutting good and snug. When your box is full, and I always like to pretty much fill the box, just put the lid on it, and set it in the shade. You don't ever put this box in the sun. You wind up with boiled cuttings. YUK! Check the cuttings every few days, and refill the reservoire as needed. Don't let it dry out. If you happen to get too wet, just prop the lid open with a pencil for a little while. This is a very good method of propagation, but I don't do roses in these. The thorns just make it hard for me, with my big fingers, to pack the box full. All kinds of other things can be done in these. Just try it! ive been on gw for a couple of years but just came across this thread. its awesome! i have cuttings on the way and had a question. i made a chamber while brainstorming but now i wonder if i should do it your way. i put 3 pots (50peat,50perlite) in a cake dome with a heating mat do you think i could add the water pot into the dome without having to use the whole bottom as the place for the rooting medium? I don't think so, because the water seeping through the walls of the pot would not be seeping INTO the medium in your pots. At least if I am imagining this right. Is the dome upside down, or rightside up? its right side up with a plastic trash bag on top to keep in the humidity. i made it this way so that i wouldn't have to lift the tank to get into it, (i have puny biceps;) and it works a little too well. i have to open the top to let the leaves dry out in the morning. you usually cant see into it because of the condensation. the reason im trying this is that im trying to root hoyas and they dont need much soil wetness but high humidity until they root. i kept the pots in it for a week before i potted the cuttings and they felt like they kept the initial moisture they had when they went in. the three pots on the left are the cuttings, on the right is your water pot on top of a heating rock to promote the humidity factor. let me know what you think. i love new ideas and combining ideas to make something new. Lola, it sounds like you have the right idea. I have never rooted petunias from cuttings, but I don't know why you couldn't. You lose nothing by trying. I wonder: if I planted a cutting from a plant that had root rot in the shoe box would it infect the other plants? The cutting wouldn't have root rot, I'm guessing. Janie congrats on this post! It has been running for a LONNNNNGGGGG TIME!!! But that just means it is a super fantastic thread! I have been on GW for a while too and have never seen this thread until today! It took me a long time to read EVERYTHING, but I DID! lol, didn't want to miss anything! I think this was a great idea and I will be trying it myself, I have had some luck with the method medo said she used, but it is really iffy with that one for me. BUT this I think I can do. persephonita, I think rot root is caused by a bacturium in the soil if I am remembering my reading right. So no it should have an effect on the cuttings you take. Go research root rot to make sure though. I have been reading so much lately it is starting to be confusing. Thanks again Janie, this was really fun to read, and very much needed info for me! I have been watching this thread for a long time and I decided to make something very similar and I made two different versions, instead of using a pot in the middle I just used little pots and put the cutting in the soil. I also used small Dixie type cups with holes in the bottom, I cover one of the units with plastic wrap to keep the humidity up and the other one I just used the top that come with it. I was going to post some pictures but I have ran into a little trouble. The Dixie cups I have used now have some type of fungus growing on the outside of the cup, kind of white in color and kind of clear. I think the chamber is too humdid and causing the cups to start to mold. I have the chamber inside our garage and it does get some sunlight but not at all direct light. I was trying to grow some cuttings from some shrubs, crap myrtle, and various other plants, and I was trying two different types of rooting hormones to see what does the best. What should I do about the mold? Toss everything and start over? 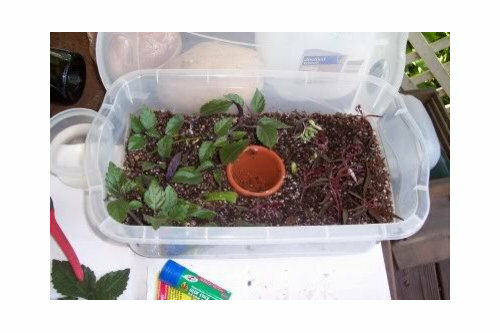 Try potting them in different containers, take the plants out of the chamber for a while and see if the mold goes away? Or do nothing and see what happens. By the way the cuttings have only been in there since Tuesday night. 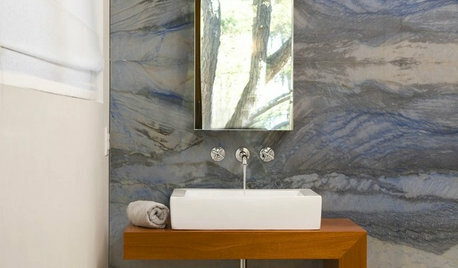 If it is growing fungus and/or mold, it isn't going to root, and the mold is not going away. I would throw it all out, bleach the box and lid, and start over with sterile medium. Also, clean your nippers, pruning shears, and anything else that comes into contact with your cuttings with a 10% bleach solution. I clean mine every time I leave one plant to go to another, so as not to transfer anything. If I use Dixie cups or styrofoam cups, I put holes around the bottom edge, on the side of the cup. The holes don't get stopped up like the bottom holes do, for some reason, and your cuttings won't stay too wet. Your cuttings don't need any light at this point, so the garage is a good place for them. I am sorry about your cuttings. Just start over. I have had to do it a million times. I think everybody does. this is a WONDERFUL idea, janie! thank you for posting this. i actually had all of the necessary items around the house, and am about to test it out for myself. i'd love to try to propagate my senecio rowleyanus (string of pearls), but i'm a true novice to propagation. i don't mind trial and error, though! Is it normal for all the cuttings to look dead? I don't know what you are trying to root, or when you took the cuttings, so it is a little hard to answer you. Did your cuttings have leaves when you stuck them, and they turned brown and crispy after you stuck them? If so, they are probably dead. 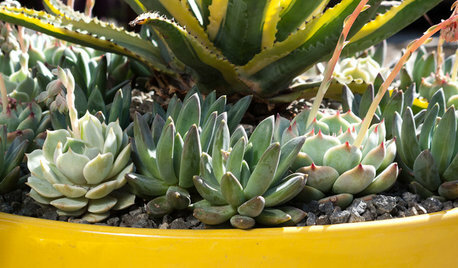 Are the top ends of your plants dried up and shrivled? If so, they are probably dead. Also, how long have they been in the chamber? If they look dead, I would be probably take one up to check it out. If they are dead, rip them out and start all over. Theres nothing else to do. Yes you described what the cuttings look like. I went out after reading your post and pulled them out. The artic willow also looked dead but it had some roots on it so I tucked it back. Should I bring the willow cutting outside? They are in a shed at the time being and that might be the problem. I may have it to hot in there. What is the temp it should be for the best results. I sure appreciate all your help on this and for sharing with us this chamber. I will say the things I started a month earlier did fine so maybe it just got to hot in the shed. Well Janie...my thanks to you and all those who have tried your clever idea, and for answering the multitude of questions on this thread. Because in less than 1 hour I have gained almost 3 years worth of knowledge and expirence gleaned from dozens of people working with your idea. I took my first cuttings just a few days ago....dipped them in 5-15-5 started/hormone and stuck them in a fine sand over top small gravel. I mist them when I think about, and they stay mostly in the shade. So far so good. I am looking for all the pieces for a mister/fogger unit to use with a propagation bed, but will also try your clever idea tomorrow. I have dozens of these plastic containers in my shop storing various bits of junk....might as well use them for cuttings!! I absolutely LOVE this thread! Question for you, Janie ... when you do cuttings of the tomato suckers, are they for the current year, or do you do them for the coming year? As I live in Zone 6, I would have to have a greenhouse in order to grow them for the coming year, and I'm not sure if that would even work, as they are so fragile. I'm working on getting a greenhouse anyway, but was wondering if you had any experience regarding this? I just root the suckers of the spring tomatoes to go into the fall garden. We garden year around, and this is a very easy and economical way to get tomato plants. If I lived where you do, I would grow my tomatoes from seed. They are easy to germinate, and you can have a huge variety of tomatoes. Check out the link. click on tomato seeds or heirloom tomato seeds. Thank you for this wonderful idea. I've just had 34 out of 35 clivia seeds germinated by using this propagation chamber. The wonderful thing was that very little effort was put into the project. Besides filling the reservoir every few days, I just had to make sure that the temperature stays within range, that the humidity is high enough and that there is no other unwanted growth. I am now in the process of germinating more clivia seeds (9 of which are from prized specimens), then I want to germinate seeds that I have from other plants. The possibilities is now endless, and I now have six of these chambers. How much light does the process require? I have some of these boxes with opaque lids. If they would work, it would save me a run into town to get new ones. I apologize for that last post. I didn't take the time to read the entire thread and see that my question was answered. I'll start with my blue lid boxes tomorrow. ps Once I did post it occurred to me to simply search for the word "opaque" in the thread. Duh! 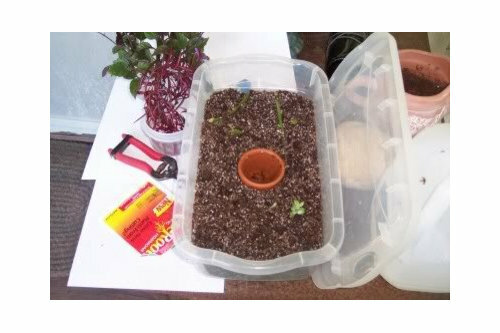 I have used the larger Rubbermaid containers (about 16 inches deep) for years to root roses in a room in my basment that I have set up for my plants and accessories. My lack of success on many was too much water! Now that I have learned to restrain myself with misting - I don't do it at all most of the time as the lids keep the medium damp. I use the peat cups for roses. This summer I tried some other cuttings for various plants (sages, lantana, celadine poppy, hydrangeas) and it has been very successful! I remove all the leaves except the very top ones and sometimes cut them in half if they are large. OH, just a comment: once I got very frustrated because some roses were taking so long to root so gave up, turned the lights off, and left them. A couple months later went to throw them away and half of them had rooted!! In the dark and being neglected. Ok, I just started my chamber. I bought two boxes but just have one started. I put in esperanza, lady banks rose, jasmine, holly bush and coral vine. We'll see how the experiment goes. About 4 months ago my sister and I found a bamboo grove. We didn't have any tools but pulled some up anyway, actually just broke it off. I realized it was just going to die so I propped it up against the house. About 2 months ago, I needed a stick for something and used that bamboo pole. I then just stuck in a pot where my wisteria is growing and now the bamboo is shooting up from the sides of the stick. The stick is hollow! I pulled it up to see that it had actually grown roots from that old stick. I know its the running bamboo so I'm leaving it in that pot just to watch what happens. My sister couldn't believe it. Accidential propogation! Thank you Janie for a wonderful contribution!! 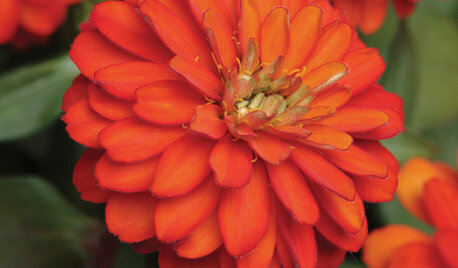 I am new to the forums and a bit new to gardening altogether... I have found a bell pepper plant that I just LOVE, but they are a bit expensive and apparantly can't be grown from seed since they are a hybrid. I have been searching for days on the net for information about propogating bell pepper plants from cuttings and have had absolutely no luck at all. Is there anyone here that can tell me what the best way to root them would be? I am planning on trying the chamber in an old 10 gallon aquarium with plastic wrap over the top to seal it. I live just north of Dallas TX and it got cold enough to freeze last night... I only took my cutting yesterday and have them in vermiculite right now with a little bit of powdered rooting hormone on the cuttings. 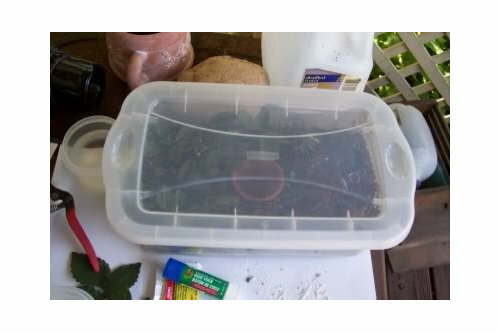 From reading this VERY long and informational post, I have already decided to put the chamber on top of my stand up freezer, since it will provide it with warmth and not too much light, and go to a 50/50 mix of vermiculite and spaghnum peat moss. Some questions I have that I haven't seen asked are; would a product like superthrive be good or bad to add to the water? Since it will be sealed with plastic wrap like a terrarium, would it be better to let some air in occasionally? And would it be good to keep adding the superthrive to the water if I use it at all? Any ideas or suggestions for this would be EXTREMELY welcome, since I will likely only get one shot at it this year! I'm excited about trying the prop. chamber. It is cold here in W. PA. I think I will have to start with seeds, all my plants have been long ago frozen. But when Spring comes, I'm going to try roses. I wonder how the African Violet cup worked in the camber, as I have several of them. The water leaches through them also. What a fun time I've had reading through all the comments. Thanks Janie. 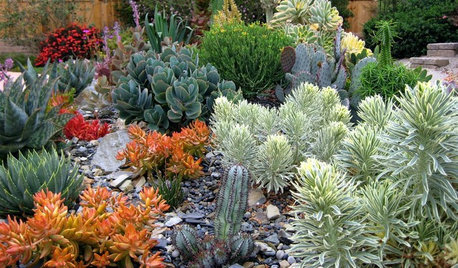 Using a variation of this method, I now have rooted green and gold euyonmous, gardenias (yes, I know), butterfly bushes, some roses, a blue salvia, pineapple sage, pyracantha, some purple shrub, mandevilla, confederate jasmine, and a lot of other things too. I use rope lighting on a metal shelf for some bottom heat in my basement. Once I see roots, I put a 4' shop light over the containers. I pot everything with roots into small plastic cups and put them in larger containers for a few weeks. Once I'm sure they're well rooted, they'll go out into the cold frame to wait out the winter. I use plain sand. I've had too much rot on me using soil. The sand allows the water to drain away from the leaves and stay at the bottom. My only problem has been a few gnats. For most plants (except roses), I've had about 90% success. I used two unopened bags of miracle grow spagnum moss and perlite to make a medium (50/50). The mold took over pretty bad. I've since found this peat moss molds really bad within 2-3 days after being wet regardless of ventilation. What a bunch of crap. Anyway, a few months ago I tried to root Rosa Carolina stem cuttings dipped in rooting hormone with zero success. Sorry you had such rotten luck, midwesternerr. I have learned to expect some problems, anticipate them even, and be ready for them if they occur. One thing is that I use just plain old peat moss and perlite, as a rule. Sand is very good, and for roses, I like to use something called 'soil conditioner'. I am not sure what it is, exactly, and I can't always find it, but it is larger pieces of materials; nothing dense. 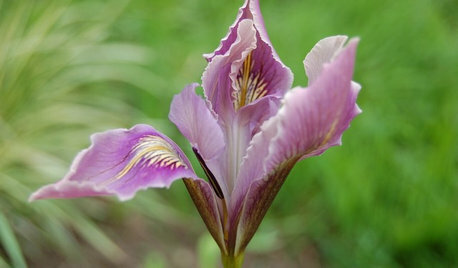 It has something to do with improving tilth of the soil. It seems to work very well on roses. I don't use anything that implies that it will feed my cuttings. Miracle Grow spagnum moss is different from plain old peat moss, I would think. I would urge you to try again. There is nothing like that first success! Hey Jani and others, wanted to let you know I now start my Impatiens from seed this way, and have had great germination. I tried some begonia cuttings and they preformed well also. May just go ahead and try soe peppers and mater seeds and see what happens..who knows, maybe I can get rid of my heatmat and propagation chamber set up! Bumping this back up since it's too good of information to let fall off the forum. I was just reading some of the posts, since I have not been here in a while, and I noticed that I never did give Jimmy an answer to his pepper question. I would think you could root pepper cuttings just as you would anything else. Just be sure that you nave a node or two in the rooting medium. Pepper hybrids can be started from seeds. It is just that they won't always come back true. For example, with an orange, you have a 50/50 chance that it will have good orange fruit. But if you planted every seed you saved from this plant, you are bound to get some good seeds. As for the Superthrive, I don't think I would use it in the beginning. I don't use any kind of fertilizer or hormones in the rooting chamber. I do like to use it when I transplant my rooted cuttings from the box. P.S. Be sure to keep the pepper cuttings warm. Peppers don't do anything in cold temps. 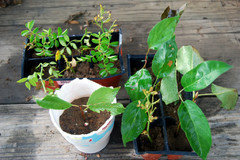 Hi to all.. as Ive been reading thru here, I havent seen anything about Bougainvillia.. Is it ok to try prop. those in this similar method, and if so, the same way? I have never had good luck propagating bougainvillia, but I have a ws grower friend who propagates a lot of it. I will give them a call and ask about it. He is always very willing to share information. I finally got all of my supplies together. In the mean time I took cuttings and put them in water and have little roots on a few of them - those are going in first! Janie you are an angel for posting over all of these years. May you have many many more years in which to garden! Thanks for the tutorial. For me I just use the water bottle that we have around the house. They work just as good as the chamber and it is very resouceful. Just want to let everyone know that I'm new to this forum and growing plants. 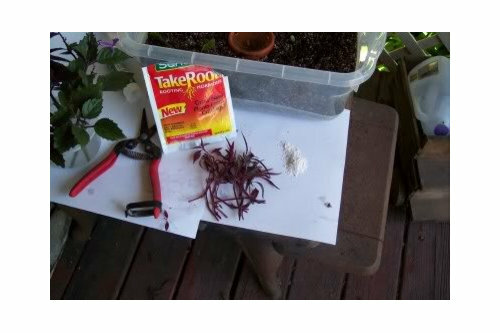 I came across this posting while doing a google search, trying to find info on rooting cuttings from a red/pink(?) dogwood tree. Its a beautiful tree that's about 40yrs old, and would like to clone several so to plant along a fence line. I have some questions that I could not find within this thread of posts. Will the propagation chamber work for dogwood? Which is better sand or the peat moss? Right now its about mid spring. Should I do this indoors? If rooting does happen, can I transplant this year or wait till next spring. I posted the question above about dogwood trees. I wanted apply the same questions to japanese maple trees. with one more question to include. After cutting, how long do I have before the cuttings go bad? I have a friend that has the japanese maple and he says I can have some cuttings. he lives a couple hours away from me. I have read all the posts(lots of them!) and think I am ready to start a prop. chamber. I will try passion vine and Alice duPont mandevilla. Great information. Thanks. To hassified (7)- Please be advised that it is very difficult to propagate trees from cuttings. Hardwood trees are not going to root. I don't know about your dogwood, but I would think you would have success propagating them from seed. I don't know about Japanese maple. In any case, you can keep cuttings viable for a good while if you will wrap the cut ends in damp paper towels, and put them in a 1 gallon plastic Ziploc bag. Just before you completely seal the bag, blow into it, enough to blow up the bag like a balloon. You fill the bag with carbon dioxide, which benefits the plants. It really helps them. Also, keep them out of the sun. I have kept cuttings good for several days in this manner. I live in zone 8 (Washington state) and would love to start some cuttings. You mentioned you sometimes put your starters under your bed???? REALLY??? I ask because I don't really have anywhere to set cuttings while they root. I DO have a sauna that seats 3 people in my house. The top of the sauna is about 1 1/2 feet from the ceiling. It is well insulated, so that area doesn't get hot when we use the sauna. Under the bed, atop of the fridge, just wherever I have room for them. They do not require light to root, and there really isn't anything interesting to see while they are developing roots, so scooting them under the bed is a good place for them, out of the way until they are ready. The top of that sauna should work just fine. Good luck, and have fun! THANKS for your quick response! 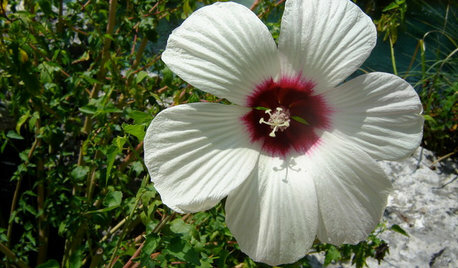 I'm doing some yard clean-up right now, and have found several things I'd like to try and propagate. I've even got a stack of plastic shoe boxes I just emptied while doing some Spring cleaning, and I have several small new clay pots in my yard shed! I'm ready to get this all started! WOO HOO! You've got another convert! Great thread! thank you for this fabulous idea and thread. anyone here had any luck using this method with spice bush? i'm trying to do spicebush, summer sweet (clethra alnifolia) and virginia sweet spire. 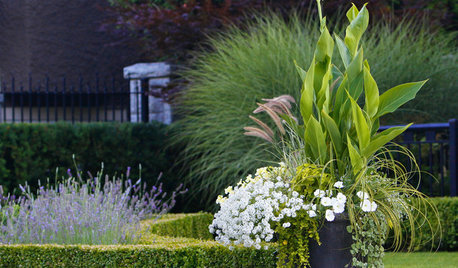 from what i have read these are typically quite root-able from cuttings and it is almost the perfect time of year to do that here in zone 5b/6a. if those work i might also try alabama snow wreath and buttonbush. My experience with forsythia mirrors this. I used about 2 inches of wet vermiculite in the bottom of a plastic bag from a store, cuttings were about 6-8" long, bag tied at the top, in direct light but not direct sun. Worked great for me. This is just an awesome thread, Janie. Thank you very much for your time and patience with all newcomers. I would like to ask anyone who reads this thread and benefits from it to go to Janie's original post at the top of this thread and hit the "Like" button. Janie deserves it. I was the number 2 "Like". What number are you? I think it's a great thread too. Trying this for my cuttings this season with 3 different soil mixes. Decided to use 2 clay pots in the container to make sure there was enough water available. Had a really tough time finding something that would seal the pot holes well so the pots drained too quickly at first which might have made the medium too wet (although condensation on the tops was not too much to my eye). Finally found something that would seal the pots, but I have been losing cuttings to mold and the leaves are browning on some of them. Still have some cuttings hanging on in each container, but I'm concerned about losing all of them. Any one want to comment on their success rate with this technique and/or tweaking that they found helpful. The best performing medium I'm using is 50% Black Gold seed starting mix with 50% perlite. The 50% peat/50% perlite and 50% perlite/50% vermiculite cuttings aren't doing as well. 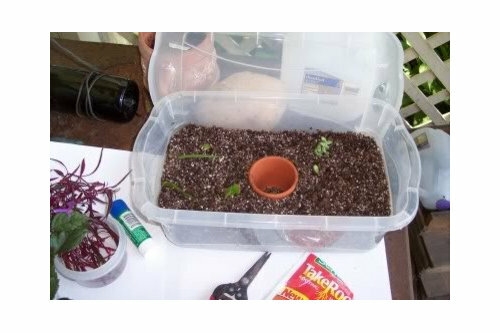 I do something similar, but I use a big Rubbermaid container and put the cuttings in individual clear cups. Each container can hold 25 to 40 cups according to the size. I water the soil before sticking the cuttings and try to be sure it is not too dry or two wet, thin line between the two. Once I put the cups in the big container, I cover the whole thing with Plexiglas that I already had, because I got the containers really cheap but they had no lids. I try not to start looking in the big container for a week or two. I do not water the cuttings again unless the little pots look dry. I use a turkey baster to put a few drops of water in the dry cups when needed. 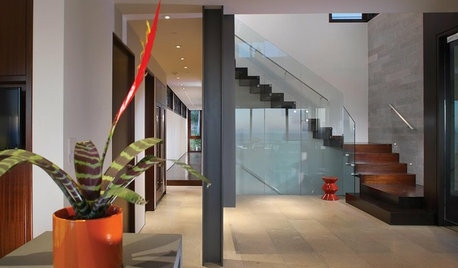 Since it is a somewhat air tight environment, they might not ever need more water. The key is don't look in it too often, if you can resist! 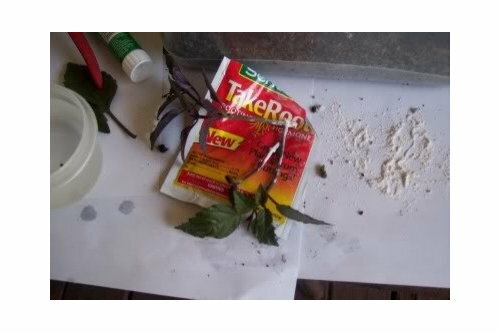 I have used this method successfully with roses, lantana, salvia, altheas, forsythia, etc. There are pictures in one of these chains of my system. 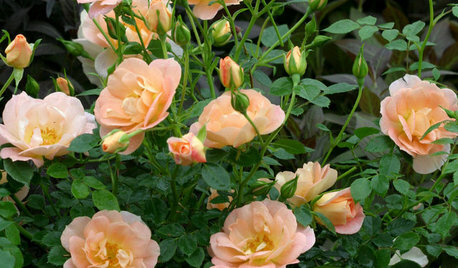 I had Westerland rose root in 5 days, but usually takes 4 or 5 weeks. Once I see lots of roots, I begin to acclimate them. I have extra containers that I use for this as they don't all root at the same speed. The reasoning for using the cups is I don't have to up root them to transfer to pots. Oh, I usually use MiracleGro soil. Thanks, countrygirl. That's the first time I've heard someone say they plant into individual containers....I've done that often as well for the same reason, but it seems to be frowned upon. I think we each figure out what works for us. I like your system! Copper Chambers stove ~ keep or scrap? Diamond Frost Euphoria how to propagate or root from cuttings? how can I get my fiddle leaf fig to stand straighter?